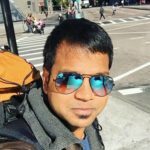 The days are gone for illegal torrent downloads and sketchy streaming websites which will give your computer a virus and fill your laptop with trojans. ZEE5 is one of the fastest growing online streaming services in India with a huge range of free movies and TV series. 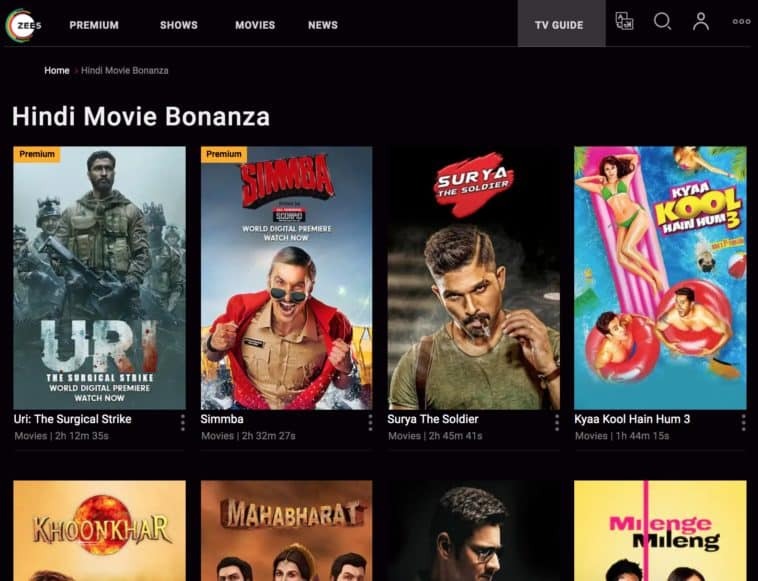 ZEE5 have released shows such as Arjun Rampal starrer series “The Final Call”, Kunal Khemu starrer “Abhay” and a lot more. But in this blog, we will be focussing on this movie collection, their free Hindi movies collection to be specific. Now, since many articles talk about recent hits, we are going back to Bollywood’s glorious past to pick some classics available on the platform. So here are some of the free hindi movies online you can watch on ZEE5. 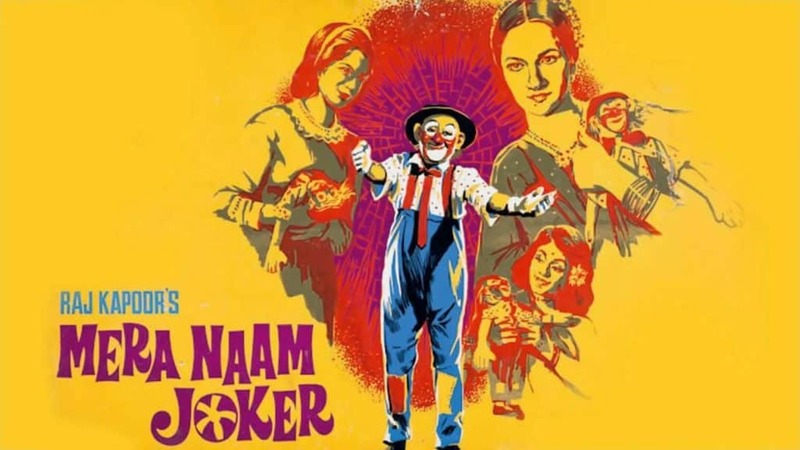 Mera Naam Joker is often regarded as Raj Kapoor’s magnum opus. The debut film for a young and adorable Rishi Kapoor and Raj Kapoor in the lead and six years in the making, the movie was highly anticipated. The movie revolved around Raju (Raj Kapoor) who is considered one of the best circus clown ever. Raju’s father was also a clown who died in an accident while performing and since then Raju’s mother has hidden the profession of his father a secret. The movie is about Raju’s journey in the world of circus and the people that impact his life. 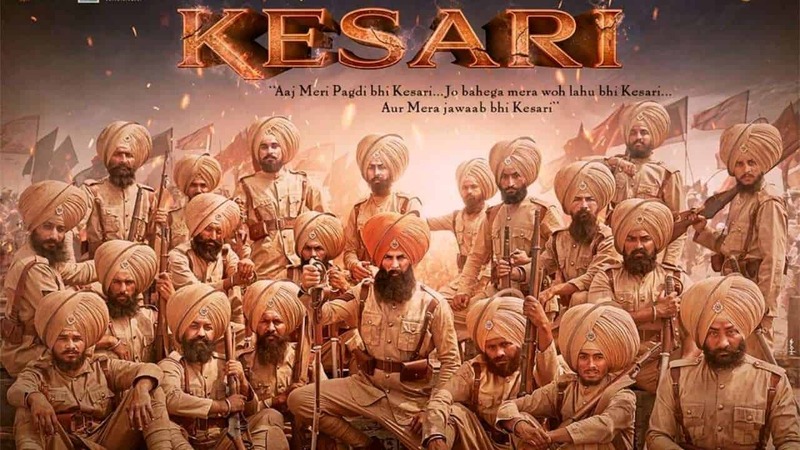 While it wasn’t warmly received in India on its release, the movie became a blockbuster at the Soviet box office. Eventually, the reception of the film improved to the point that it is now regarded as a classic. 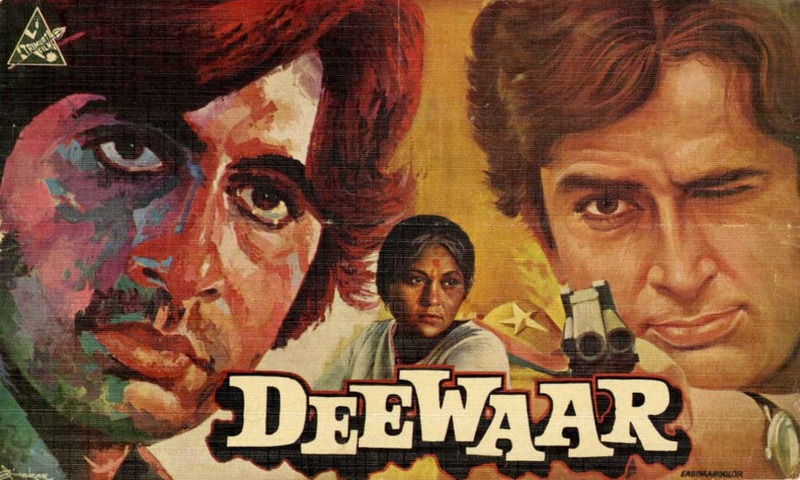 Deewaar is a story of two brothers who find themselves on opposite sides of the law. One brother is a respected police inspector played by “Shashi Kapoor” while another one is a gangster played by “Amitabh Bachchan”. Written by the iconic screenwriting duo Salim-Javed, Deewaar was a blockbuster with many of its dialogues becoming a part of popular culture. 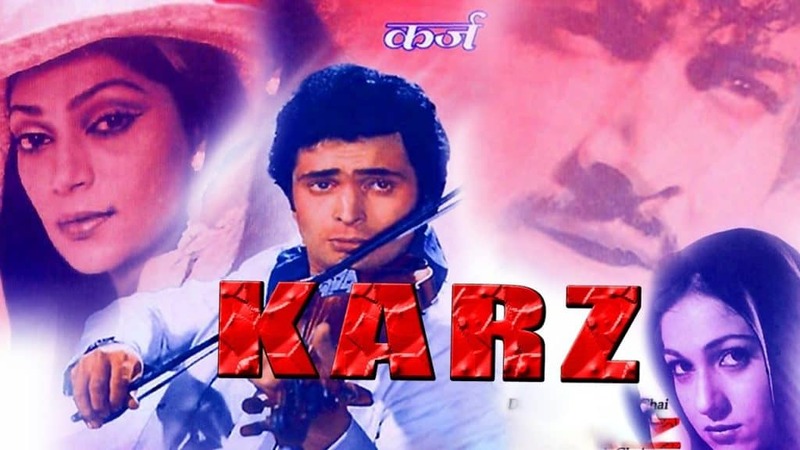 Karz is a 1980 thriller directed by the showman Subhash Ghai with “Rishi Kapoor” in the lead role. The story is about a guy falling in love with a girl who killed him for his money. To take his revenge, he takes another birth. With a chartbuster soundtrack by Laxmikant-Pyarelal and top-notch performances by Rishi Kapoor and Simi Gerewal, the movie is often said to be one of the best movies on reincarnation. 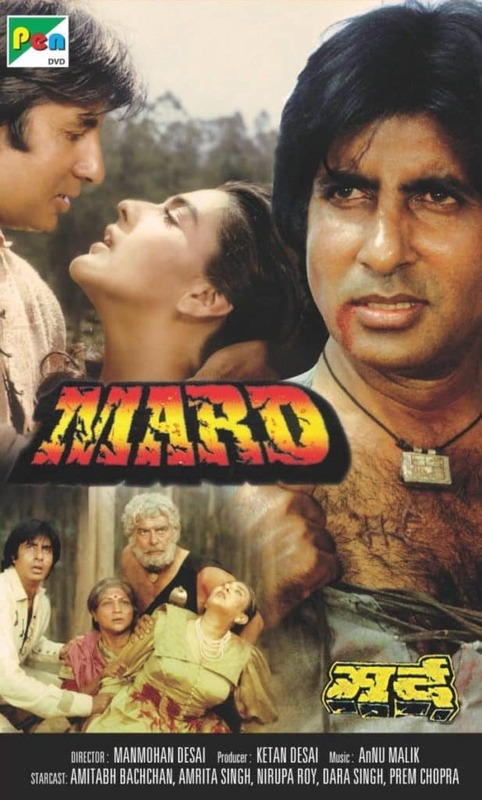 One of the highest grossing movies of 1985, Mard is set in the pre-independence era and is about a guy Raju, played by “Amitabh Bachchan”, who gets separated from his family after his birth. Based on the plot of lost and found, and the theme of fighting for the people against the atrocities of slave masters and British, the movie was nicely received and a good watch. 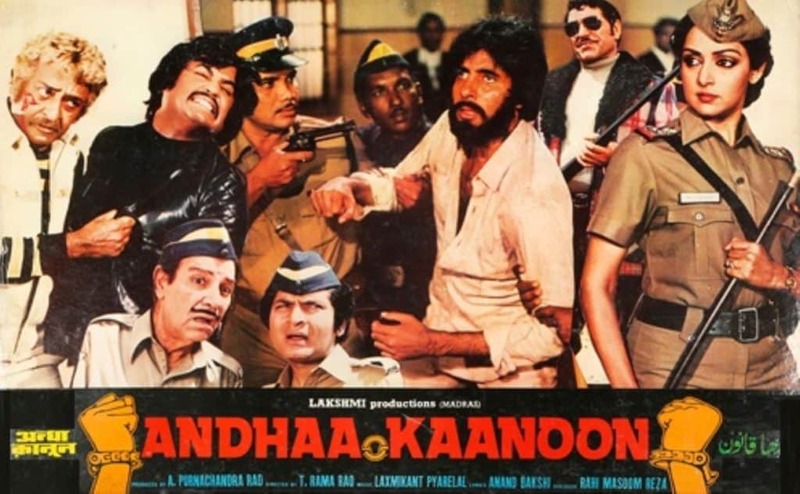 Andhaa Kaanoon is one of the blockbuster movies from 1983 having “Amitabh Bachchan, Hema Malini and Rajnikanth” in the leads. The movie was Rajnikanth’s debut movie in Bollywood. The movie revolves around the incompetence of the legal system to put criminals behind the bars and the tussle between what’s right and what’s legal between a brother and sister, played by Rajnikanth and Hema Malini. A thrilling tale of revenge and mind games, the movie was a hit at the box office.